UPDATE3: This maintenance was completed on March 24th. If you have any questions, please contact ITS at its@manhattan.edu or at extension x-7973. UPDATE2: This network maintenance has been rescheduled again for Friday March 23, 2018, from 9:00pm until March 24, 2018 at 9:00pm. ITS is working diligently to ensure there will be no complete outage during the maintenance period, however, there maybe some internet speed degradation during this time. UPDATE: This network maintenance has been rescheduled for Friday March 2, 2018, from 9:00pm until March 3, 2018 at 9:00pm. ITS is working diligently to ensure there will be no complete outage during the maintenance period, however, there maybe some internet speed degradation during this time. Our upstream Internet Service Provider (ISP) will be conducting planned network maintenance on some severely damaged fiber lines on Friday, February 9, 2018. This maintenance will begin at 9pm and will last until the work is completed. 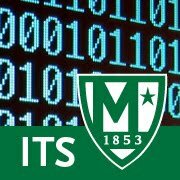 ITS is working hard to ensure that our backup Internet service connection is available for the duration of this outage, but some downtime will be inevitable for both the wired and wireless networks across Manhattan College campus. We will keep the Manhattan College community updated with the progress as best as we can.